What’s Actually in Those SlimFast Shakes? Are They Good for You? With its food and shake products, SlimFast is a celebrity-endorsed brand that&apos;s long-dominated the diet world. 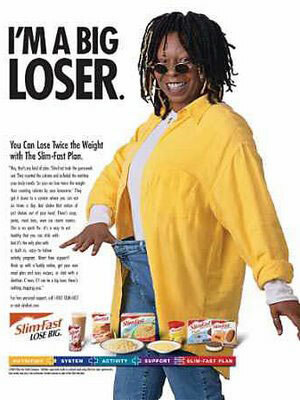 "SlimFast isn&apos;t a fad, it&apos;s part of a way of life," Joe Celia, then-vice president for Grey Advertising Inc. said about a 1990 SlimFast campaign his company created, according to the New York Times. The SlimFast diet involves replacing meals with their products for two meals daily along with snacks, according to Health. Then, dieters can eat a regular and balanced 500 to 600 calorie meal of their choice. The SlimFast plan may be effective in achieving weight loss — but there&apos;s a caveat. Read more: Do Protein Supplements Actually Work, or Are They Overkill? The SlimFast Original line consists of meal replacement shakes that have 10 grams of protein, five grams of fiber and 181 calories, according to the website. It also has 18 grams of sugar, and its first few ingredients are fat free milk, water, sugar and milk protein concentrate. For those who avoid dairy, there are meal replacement smoothies that you can mix with the milk of your choice. The top ingredients for the vanilla flavor are whey protein isolate, soy protein isolate and high oleic sunflower oil. Whey protein isolate and milk protein concentrate are known to cause digestive troubles such as stomach aches and diarrhea for some. If you&apos;re solely dependent on one company to receive your daily nutrition, it could also prove dangerous. In 2009, SlimFast recalled every single drink product because of a possible contamination with illness-causing bacteria, according to ABC News. Although it&apos;s a structured diet that seems to work, SlimFast remains a processed product. Chris Rosenbloom, a professor of nutrition at Georgia State University, would prefer dieters to eat whole foods to stay healthy, according to Health.